Many people regard Peenemünde on the Baltic island of Usedom as the birthplace of space travel. In 1942, the first liquid-fuelled rocket took off from here into space, yet it was undoubtedly designed as a long-range weapon. 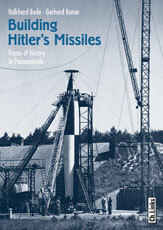 Volker Bode and Gerhard Kaiser document the development of the retaliation weapons V1 and V2 in the Nazis military research centres, the Soviet occupation in the early post-war period, Peenemündes history as an East German arm base and the current use of the site.